Born in a log cabin, Abraham Lincoln (February 12, 1809-April 15, 1865) taught himself enough law to become a lawyer. An ambitious man, he was elected repeatedly to the Illinois state legislature, where he became a leader of the Whig party. After a single term in Congress (1846-1848), Lincoln’s political career seemed to have peaked. As the debate over slavery tore apart the nation in the 1850s, the Whigs appeared increasingly irrelevant, so Lincoln joined the newly formed Republican party. Although he lost a hard-fought campaign against Democrat candidate Stephen Douglas for a senate seat in 1858, a series of debates between the two men had attracted national attention, especially among the growing abolitionist movement. Chosen as a compromise candidate during the 1860 Republican convention, Lincoln won election as president, aided by the breakup of the Democrat party over slavery. Convinced that he intended to destroy their way of life, the southern states seceded, starting a long and bitter civil war (1861-1865). When Lincoln decided to emancipate the slaves, it seemed likely that he would lose the 1864 election, but several victories on the battlefield ensured that he was given a second term with a sizeable majority. Unfortunately, Lincoln was assassinated shortly after the war ended. Despite having received a major defeat during the election two months earlier, the Democrats still refused to vote for the Thirteenth Amendment, which would abolish slavery. The Radical faction of the Republicans, who have long labored to end slavery, prefer to wait for the incoming house, which would be controlled by the Republican Party, to ensure passage of the amendment. 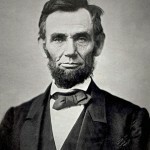 Since the war seemed likely to end within the next month, before the new legislature is formed, President Abraham Lincoln (Daniel Day-Lewis) is convinced that it is vital to pass the amendment before the southern states re-entered the Union, since they would naturally resist the end of slavery, thus achieving in the legislature what they had failed to accomplish in war. Dozens of Democrat congressmen who lost their seats in the election have become lame ducks, and Lincoln hopes to convinces several of them to vote for the amendment. Although dubious about the odds of victory, Secretary of State William Seward (David Strathairn) hires agents to offer the lame duck Democrats lucrative federal jobs in exchange for their votes. Even then, every single Republican will have to be present and vote. 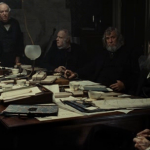 Francis Blair (Hal Holbrook), founder of the Republican Party and leader of the conservative faction, offers his support in exchange for Lincoln’s permission to travel to the Confederacy to start peace negotiations. These negotiations must remain secret since the Confederates’ main condition will be the continuation of slavery, which the Radical Republicans will never accept. 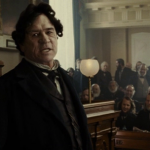 Aware that the conservative republicans and several Democrats will likely vote for the amendment, the Democrat party leaders attempt to trick Congressman Thaddeus Stevens (Tommy Lee Jones), leader of the Radical Republicans, into admitting that he seeks racial equality, as well as an end to slavery, knowing that the idea of racial equality will infuriate the moderates. Through skillful politicking, Lincoln, Seward and Stevens ensure that the amendment passes with two votes, ending the evil of slavery. Lincoln is a stunning film, the production team recreated every detail of the president’s world, including the astonishingly ugly beards and wigs that appear in every picture from that period. The script does not waste time explaining the situation, or even introducing the members of the cabinet, which can be a bit confusing, since they are all middle-aged white men. The decision to provide little context prevents viewers from understanding the complexity of the emancipation issue. Despite repeated calls from the Radicals, the Emancipation Proclamation, which freed all slaves in the Confederacy, but not those in the border states that had remained in the Union, had only been made after two years of exhausting, bloody conflict. Although it was fought with cannon and single-shot rifles, the American Civil War was the deadliest American war. After two years of butchery, Northerners were willing to accept Emancipation as a tactic to deprive the South of its labor force, and the decision to permit blacks to serve in the military was made several months later. Lincoln had battled the Radicals throughout his first term, resisting their calls for the emancipation of the slaves because he knew that the country was not ready. Lincoln understood that he was president of a large nation, not a zealous crusader fighting for single cause. However, support for emancipation was still far from widespread by the start of Lincoln’s second term. The Thirteenth Amendment had received two thirds of the vote in the Senate the previous spring, but had failed to pass the House, where the Democrats were much stronger. The Republican party was divided into factions, and the conservative wing, led by the influential Blair family, only agreed to back Lincoln in exchange for his promise that he would hear the Confederate peace proposals. 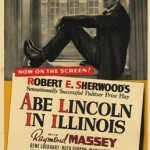 Watching the movie, it may appear that Lincoln was incapable of making a sentence without resorting to parables, anecdotes and humorous stories. That judgement would be correct, since the real man was a bottomless well of anecdotes, which ensured that he was always the centre of attention during any gathering. In fact, Lincoln used humorous stories to help deal with the pressure of a war that seemed endless, killing and crippling so many young men that it threatened to destroy an entire generation. The war definitely took a toll on Lincoln, who often wandered the White House late at night, and spent long hours in the telegraph office, waiting for news of a final victory that would end the war. Aside from a battle scene at the start of the film to remind viewers that black soldiers were fighting and dying for the Union but could not vote, all of the conflict takes place in the legislature. 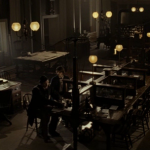 Although set during the Civil War, Lincoln is not a war movie, but presents the war from the perspective of the government in Washington, so there are more scenes in the telegraph office waiting for news of a battle than actual battle scenes. However, a brief visit by the screen Lincoln to a hospital full of men with amputated legs, where wheelbarrows are used to carry the legs to a burial area, shows that he was all too aware of the cost of the war. While a speech by Fernando Wood, a Democrat from New York, where he calls President Lincoln a traitor and dictator may seem extreme, it was far from rare. During another debate, the screen Representative Thaddeus Stevens claims that Representative George Pendleton, head of the Democrats in the House, is more reptile than man, saying: “Even worthless, unworthy you, ought to be treated equally before the law.” Slander and insults were common at the time because lawsuits for character defamation were non-existent. Moreover, political speeches were expected to be theatrical performances in order to attract the attention of the newspaper reporters. The resulting combination of free-flowing insults and flowery oratory produced memorable speeches. and screenwriter Tony Kushner understandably worked as many as possible into the script. The film had to accomplish two tasks: explain why the amendment mattered and show how it was obtained. The script is more successful with the latter than the former. The background to the Emancipation Proclamation is missing and the black perspective is weak. However, the presentation of Lincoln’s delicate juggling of the conflicting needs of the conservative and radical factions in the Republican party, and the agents’ efforts to persuade Democrats to vote for the amendment is excellent. Determined to see that the Thirteenth Amendment passes, Lincoln insists that all means short of the exchange of money be employed to persuade Democrats to vote for the amendment. 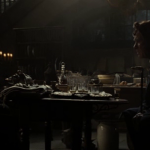 Seward hires three agents: William Bilbo (James Spader), Richard Schell (Tim Blake Nelson), and Colonel Robert Latham (John Hawkes) to obtain the necessary votes. Realizing that many Democrats will be uncomfortable voting in favor of the amendment, the agents focus on persuading some to abstain, thus reducing the total number needed to pass the amendment. In the end, sixteen Democrats voted for the amendment but the script concentrates on the efforts to convince several of them. Modern viewers know that the amendment passed, so the challenge for the filmmakers was to portray how close a struggle it was. While the three men did exist and definitely did help procure votes, Kushner had to take some liberties, since there are few records of what was essentially bribery. Destroying the image of a saint-like figure whose primary purpose was the liberation of the slaves, the script shows that Lincoln was a seasoned political operative. Although Seward is given responsibility for procuring the votes, the screen Lincoln listens to each report carefully, shrewdly gauging the progress. The real Lincoln was a good man, a very good man, but he was a veteran of politics, both frontier and national, who had spent almost all of his adult life soliciting votes and trading favors to accomplish his political objectives. There are surprisingly few black characters for a movie about African-Americans. A black soldier who meets Lincoln at the beginning of the film is tired of waiting for equality. Having Elizabeth Keckley (Gloria Reuben), Mrs. Lincoln’s seamstress, observe debates on the amendment in the House allows the viewer to understand the humiliation of watching strangers debating whether or not you are a human being, knowing that you are not even permitted to take part in the debate. While Keckley was Mary’s confidant and had a mind of her own, her role was greatly expanded, presumably because the White House was universally white. The only blacks were servants, so the script focuses on Keckley and Lincoln’s valet. 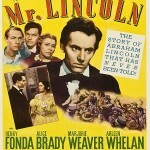 No disrespect to Reuben, who gave an impressive performance, but it is inexplicable that movie ignores the efforts of articulate, passionate black leaders, most notably leading abolitionist and former slave Frederick Douglass, choosing instead to have the black perspective represented by a valet and a seamstress. The failure of the screenwriter to find space for an appearance by Douglass is bizarre because the real Lincoln met with Douglass several times, and Douglass became the first African-American to be formally received in the White House when he attended the reception for Lincoln’s second presidential inauguration. While the lack of substantial black characters is depressing, in the end, the movie is called Lincoln, not The End of Slavery. Unlike abolitionist leaders, Lincoln had had little contact with blacks in his life and had made little effort to befriend blacks. While he had devoted much time and energy to the consideration of the slavery issue, he had never troubled himself to seek the opinion of the people most involved in the situation, namely blacks, whether born free or escaped slaves. A touching exchange between Lincoln and Keckley, where the president admits that he does not know blacks but will get used to them being free, illustrates the real man’s kind heart and practical mind, as well as his strength. He sought to end slavery because it was wrong, not because he had any personal attachment to blacks. A reference to his father’s opposition to slavery highlights the key obstacle to the passage the amendment. Whites would accept an end to slavery, but not if it meant equality with blacks. Most whites in the north opposed slavery because they feared that employers would prefer slaves, who were cheaper than free men. They had no desire to associate with blacks and did not consider them equal to whites. Unlike Lincoln, one legislator’s battle against slavery is driven by a deeply personal relationship with an African-American, providing a different perspective about the debate. 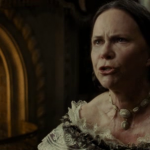 Mary Lincoln (Sally Field) never got over the death of their son Willie in February 1862, and she did have terrifying rages, which are not pleasant to watch. The arguments with his wife may have been wearying for the viewers but they explained the domestic pressure that Lincoln had to cope with, although the movie would have benefited if less time had been devoted to Mary. One of the few weaknesses in the script is the unnecessary drama over Robert Lincoln’s (Jason Gordon-Levitt) desire to enlist. Robert did push to leave Harvard and serve in the army, since he had been criticized for being safe in school while other men his age were drafted. Given the prevalence of father-son conflict in Steven Spielberg’s films, it seems likely that the conflict between Lincoln and his son Robert was inflamed to suit the director’s fixation on father issues. Preferring to build suspense, Spielberg chose to not present the brief speeches made by Democrats before the vote to explain why they had decided to vote for the amendment. Admittedly, this approach does heighten the suspense, but it deprives viewers of the opportunity to hear the Democrats explain why they had changed their minds on such a controversial issue. Since the success of the amendment depended on only two votes, several of the Democrats who had decided earlier to switch votes could have spoken. To be fair, the six-minute-long scene is masterful, brilliantly showing how the vote was followed across the nation. Given the importance of the amendment, it deserves to be read in full, and the filming of the reading of the amendment is a wonderful scene. The movie was ill-served by the trailer. I have to admit that I was dreading the movie after watching the trailer. Having researched Lincoln, I had come to respect the man, so I feared that he would turned into a saint-like, two-dimensional figure. Rarely have I been so pleasantly surprised. Perhaps Spielberg got the melodrama out of his system with War Horse (2012). Honestly, the cast was superb. Daniel Day-Lewis embodies Abraham Lincoln, his humor and his slow pace of talking that must have been maddening to some. Sally Field deserves praise for having the courage to play such a complex, unlikeable character. Tommy Lee Jones gives one of his best performances as a radical who knows that he is ahead of his time but will drag everyone else by the hair forward, although I suspect that the real man was far more sharp-edged than Jones’ version. Jared Harris captures the real Grant’s bluntness and quiet determination. David Strathairn is effective as Seward but the movie does not show that the men had become close friends, who often spent evenings together. In fact, Lincoln’s wife complained that he spent more time with him than with her. The scenes of Seward’s agents canvassing Democrats are brilliant, using humor to make the bribery more palatable for the audience. 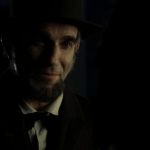 It is an important movie but those scenes make Lincoln an enjoyable movie. Lincoln is a personal portrait of Abraham Lincoln during a key legislative battle, not a history of African-Americans’ struggle for freedom. That struggle deserves a movie or TV series, and hopefully the success of Lincoln will help make that project happen. Wisely accepting that he is not the man to tell that story, Spielberg focused on what he could do, and did it well. While this is not the definitive movie about the long road to freedom for blacks in the United States, it is the definitive movie about Abraham Lincoln. 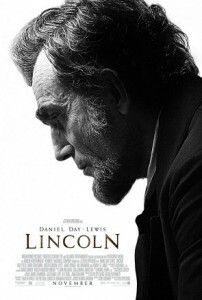 Right on as usual; Andrew identifies this as the best Lincoln film to date. I also think it to be an artistic masterpiece. Spielberg has the ability, using the tools of his craft and his remarkable fertile imagination, to create an artistic masterpiece that illumines the historical line with images pregnant in symbolic significance. Look at the incredible scene in which he talks to a group of soldiers about his Gettysburg Address. The succession of images allude to his role in posterity and what was really great about the man. As he said in his speech, the war was really a test of the proposition that all men are fit to govern themselves – “government of the people, by the people and for the people’. The constant illuming back light symbolizes the beacon of t eternal hope for all oppressed people of the earth who eventually found freedom through immigration. It also.echoes the afterglow of the American Revolution that made it happen. In this ability to combine the elements of his craft (images) in to lines deep with historic significance and symbolism Spielberg parallels the genius of Johanne Sebastion Bach who was able to accomplish this kind of thing with the elements of his art, i.e. sounds. Thanks, it is a great film, and I was surprised at how much I enjoyed it. The movie was not well-served by the trailer.